The cover photo was beneath a spruce tree in our front yard. 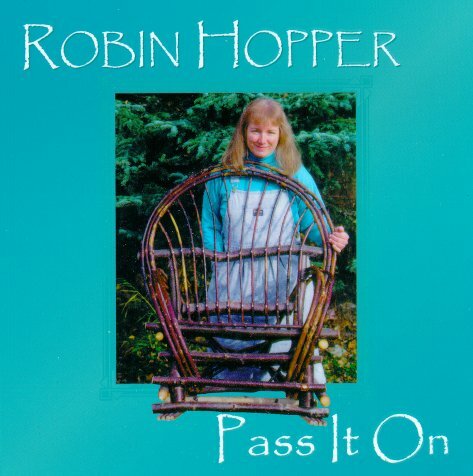 I made the willow rocker that I am standing behind, and in time, I will "Pass It On" to one of my children. Until then, it rests by the front door on our porch. The chair is a great place to sit in the sun and chat with visitors. The sepia-toned photo of my great-great-grandfather, Orin Frank Dow, was taken in the late 1800's in Meredith, New Hampshire. 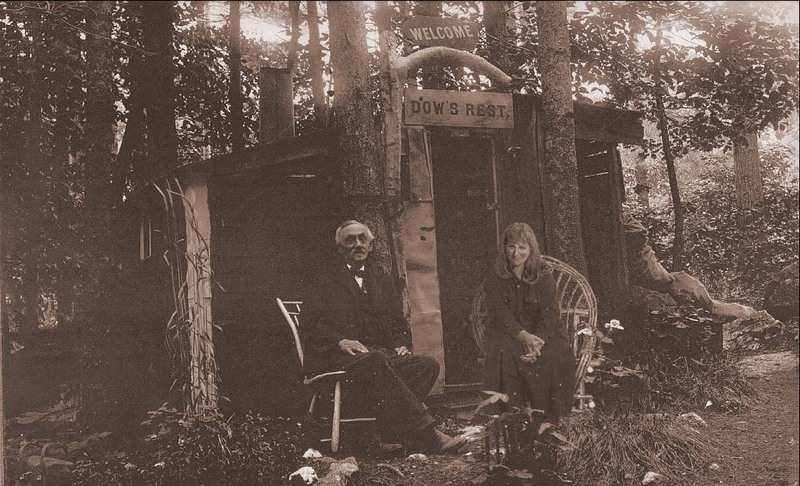 After the death of his wife, Orin Frank built this camp, "Dow's Rest" in the woods behind his son's home. He wanted to be close to his family, but not live with them. He had many visitors, and kept a guest book with over 2,000 names in it. Although over 125 years separated our births, stories of his life have been passed down through our family for years, connecting past with present; just as the computer was able to bring our images together in a single photo. What a pleasure it would have been to spend a sunny, Sunday afternoon with my Great-Great-Grandpa Dow. Our on-line purchases are handled through a distribution center for independent musicians called CD Baby. Click on the link below to order "Pass It On"
Please indicate on your order that you would like "Pass It On"